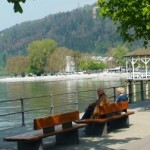 These days it may be better known as a spa destination, or for its famous annual film festival, and considering it was once one of the most sought after destinations in Europe and a veritable magnet for the rich, famous and downright aristocratic, Karlovy Vary (or Carlsbad as it’s otherwise known) owes its very existence to sheer fluke. Back in 1350, Bohemian King Charles IV was out on a hunt and chasing a deer through a steep valley when he stumbled on a hot spring jetting out of the ground. It seems after being doused with this hot water his aching legs stopped aching, so he a built a lodge, spread the word about a magical spring with healing powers and the rest as they say, is history. Whilst that original spring still gushes its healing thermal waters (together now with eleven others) the city owes its grand baroque and art nouveau visage to the European well to do, who flocked here in their thousands in the 18th and 19th centuries to enjoy spa and wellness therapies for all kinds of conditions and built one glorious building after another. 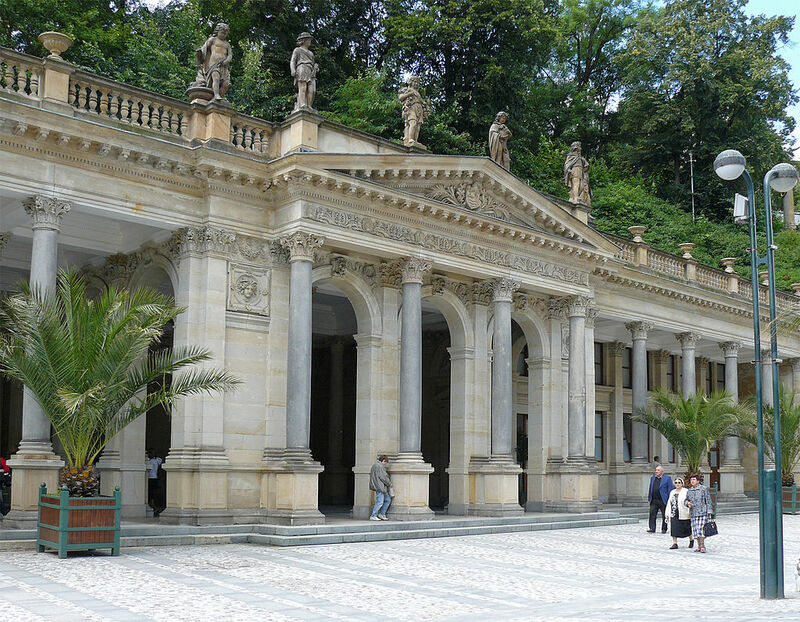 The magnificent colonnades are a fine example; the Mill Colonnade in particular, with its 124 Corinthian style columns surrounding an orchestra pit and five mineral springs no less. 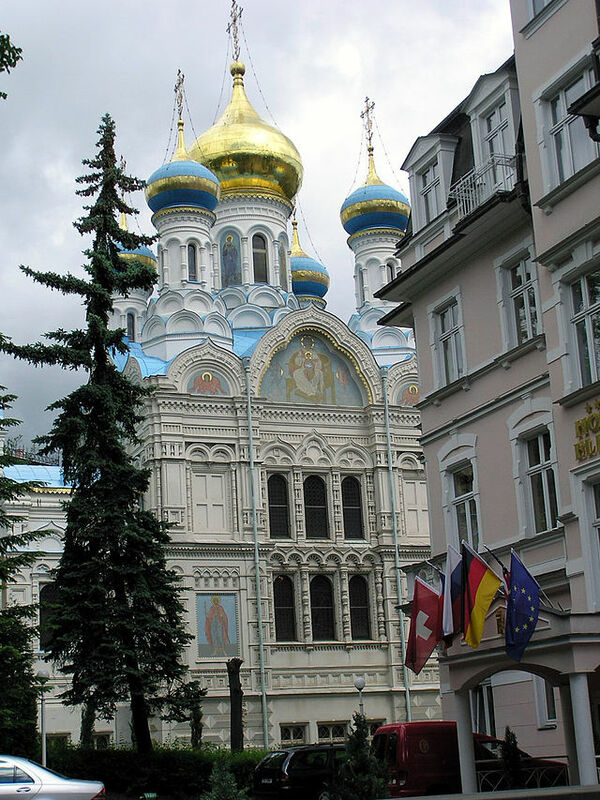 The Municipal Theatre, the spa buildings, and the two churches: The Mary Magdalene Church and St Peter and Paul Orthodox Church are also well worth exploring. Look out for that deer statue up on the hills above, not surprisingly it’s the emblem of the city. Spas are serious business here, after doctors David Becher, Jean de Carro, and other notable physicians introduced the science of Balneotherapy in the 18th century. This involved not only bathing in the mineral waters from the fifteen natural thermal springs but also drinking from some of them too! The waters were specifically efficient in treating digestive tract, motor system and metabolic disorders when combined with a balanced diet and long walks in the forest or around the colonnades. The city enjoyed tremendous prosperity until history intervened and two world wars put an end to its success. Fortunately, following the ‘velvet revolution’ in 1989, Carlsbad’s star rose once again and today the city is basking in a glorious renaissance. Not just for specific medicinal spa therapies, but everything else from wraps to reflexology. You will be spoiled by the array of elegantly fronted spas on tap so to speak; from the renaissance-style Mill Colonnade or Art Nouveau Castle Colonnade and the Swiss inspired Market Colonnade to the more modern glass fronted Hot Spring Colonnade. Either way, the fifteen natural hot springs continue to deliver water for the healing therapies as they have managed to do over the centuries. No trip to Karlovy Vary would be complete without sampling Doctor Becher’s own herbal liqueur ‘Becherovka’ still a secret recipe known only to two people over two hundred years on. They call it Carlsbad’s ’13th spring’ and you’ll find it in just about every hotel, bar and restaurant in the city. 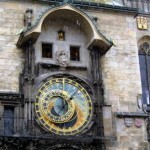 Czech food has a reputation for being traditionally good hearty fare, with thick soups, dumplings and stews. Bohemian potato soup, goulash and apple pancakes with cinnamon are always a favourite but these days you will find plenty of lighter offerings and vegetarian alternatives too. As a dessert, ‘Carlsblad plums’ candied in syrup and stuffed into Damsons are well worth a try, as are the ubiquitous round spa wafers which you’ll find all over the city. The Grandhotel Pupp is a landmark building; it’s the venue for the annual film festival and was the ‘Montenegro’ Casino in the Bond movie Casino Royale. You would be hard pressed to find a better dining experience anywhere else. The annual film festival which takes place the first week of July is always the highlight event of the year. 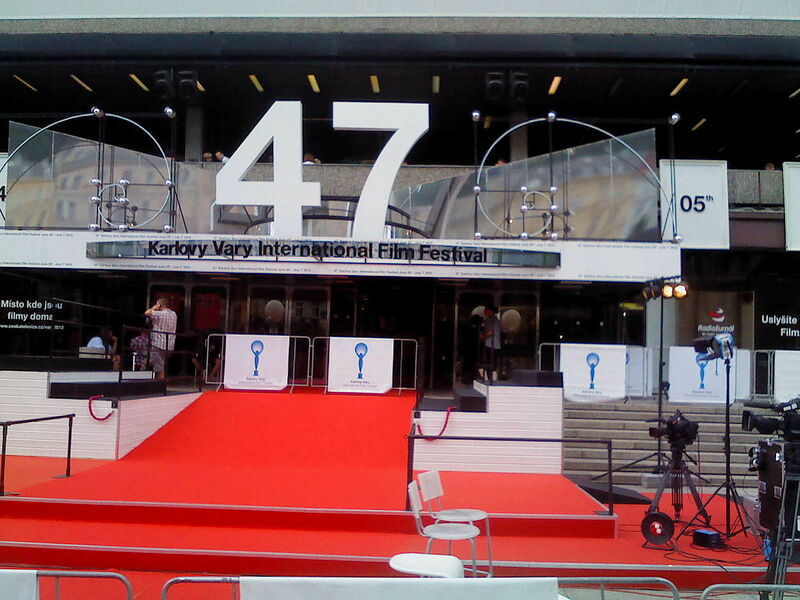 Now in its 47th year, it’s one of the oldest film festivals in the world. Once again the Grandhotel Pupp dominates the nightlife scene with two nightclubs, a casino (check out the mirrored walls and glass ceiling) and the late night Becher’s Bar, the only cocktail bar in town, down in the basement. A somewhat more mainstream venue is California, a west coast inspired club that spins oldies until the wee small hours. On the other hand if your taste is more cultured, the Hotel Lázne III offers classical concerts in the Antonín Dvorák Music Hall on the first floor where the Karlovy Vary Symphony Orchestra often plays. 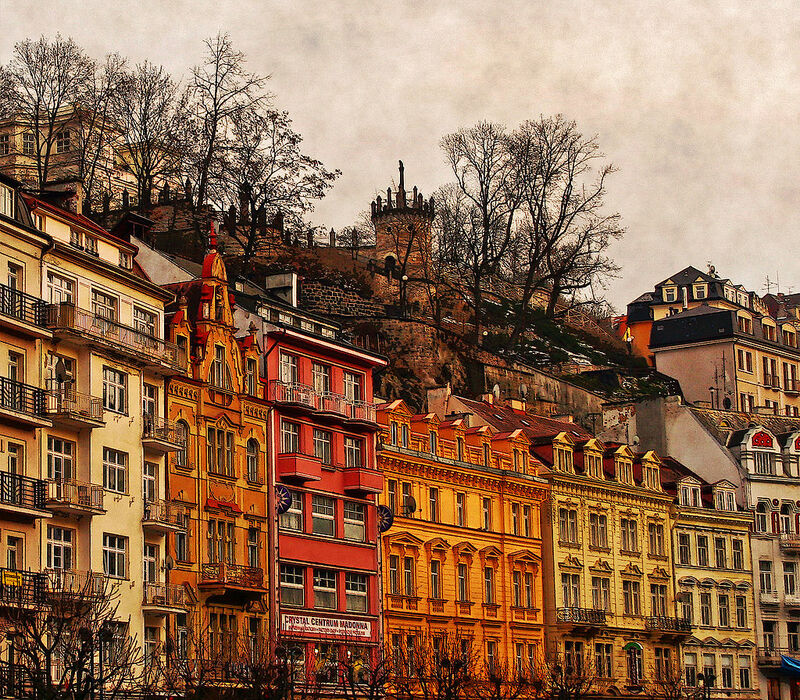 I want to visit Karlovy Vary. How do I found out more? 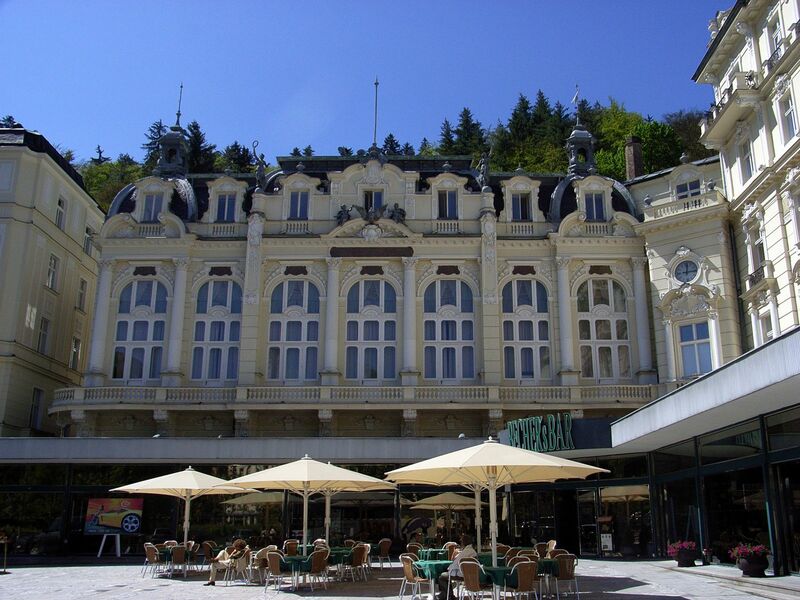 The official tourist site for Karlovy Vary provides details of hotels and spa treatments and of course the latest spa packages. 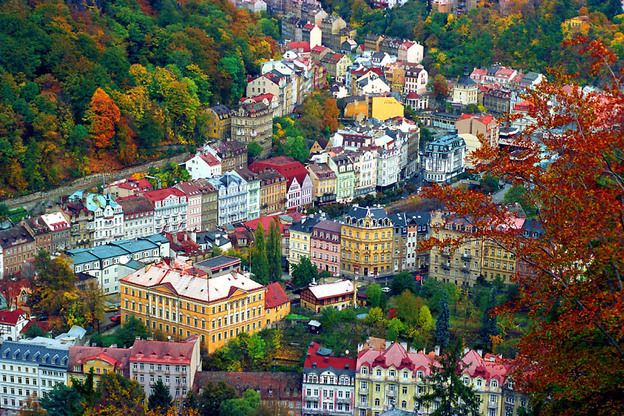 Karlovy Vary is just 90 minutes from Prague by train and there are many direct services to Prague from the UK including BA, easyJet and Ryanair.